A five-in-one beauty balm that minimizes pores, lines, wrinkles, and redness instantly and gives you significantly firmer, more-lifted skin in eight weeks. 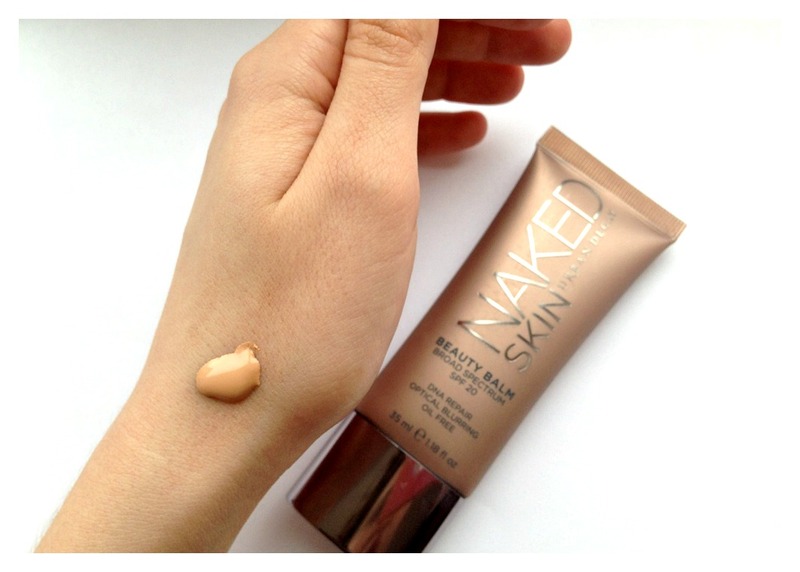 The multitasking Naked Skin is like an instant retoucher in a tube. Optical blurring pigments instantly even out skintone and minimize pores, lines, wrinkles, and redness. SPF 20 shields skin from sun damage and Pepha®-Protect helps inhibit DNA damage. Vitasource™ and Glyage® firm skin, improve elasticity, and provide measurable antiaging benefits, while the extremely blendable formula creates a smooth finish, so makeup goes on beautifully and stays put. I really haven't been sold on the whole BB thing, but this is definitely a product that has changed my mind. 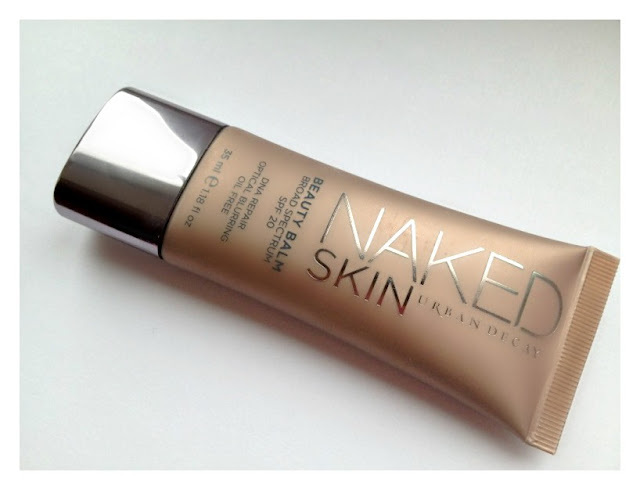 It smooths out my complexion and feels really hydrating, but even better its probably the best foundation primer I have ever used. It's also oil free which is great for me as I have combination skin and I think makes it a great option for people with normal/combo/oily skin types. I think I must really like it because I'm very excited even just writing this post haha. After using it for around three weeks now, I actually believe that this product could deliver its 8 week promise of radiant, smoother and an improved skin tone. If your skin is relativity good then this BB would be fine for use alone, but my preferred used is under my UD Naked Skin Foundation. I'm actually in love with the finish that these two products provide, as its perfect but it really does look like skin. I have found that the BB also calms down some of my redness, and this is a huge plus for me. It has a lovely scent and despite being a "one colour fits all" product, I really don't think many people would have an issue as it actually goes transparent when rubbed in. However, this product is definitely a perfecter opposed to a cover up kind of product. There isn't much I dislike about this product as its really working for me, but I do like to take a broader look at products, as I know my reasons for loving it won't suit everybody. Firstly, I think if you are looking for coverage then you would be better off trying either another BB, or maybe a tinted Moisturiser. When applied this product perfects my skin and reduces my redness, but if I have a blemish it doesn't really cover it as such, but it does improve the general look of your skin. 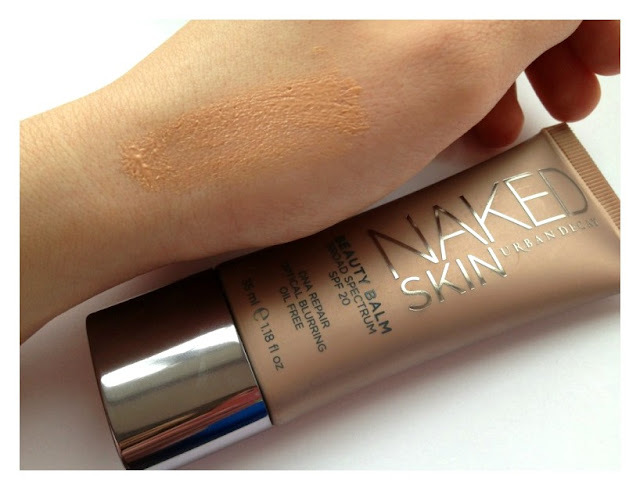 A fantastic product that can be worn alone to perfect, as well as being worn as a primer under your favourite foundation. It smells gorgeous and also has loads of beneficial ingredients, which I actually believe will work within 8 weeks. I do think that a primer would be its most effective use for most people, as it really does help your foundation go on a lot smoother, as well as keeping the product in place. 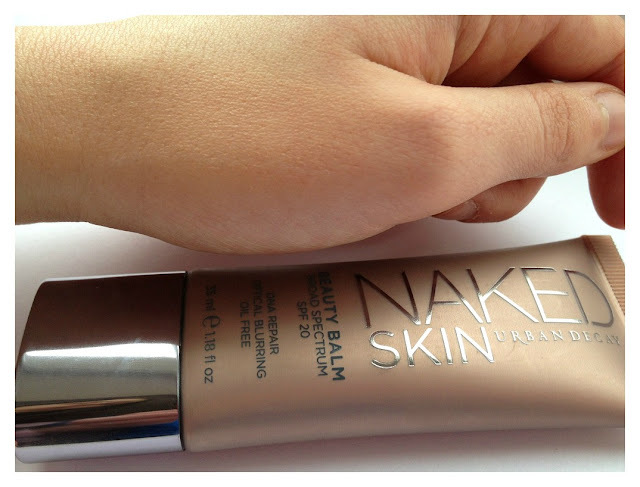 You can find this product at the House Of Fraser or Debenhams for £23.00 for 30ml. I would love to know your thoughts about this product, will you be buying it ? Congratulations on getting the job! It's a massive achievement in toady's times! You should definitely do another post at 8 weeks to compare the difference and see if it lives up to the expectations. This sounds amazing, I want radiant skin! However, my skin is very dry so the oil free big may cause a problem! Brilliant review though lovely. Congrats again on your new job! Sounds so exciting :D I've never tried any of UD base products but this really does sound lovely. We have a similar skin type so I'm very tempted to try this out! Congratulations on your new job, it must be very exciting! This BB cream sounds really great- I was hoping for a photo of the BB cream blended out though :) BB creams usually don't have much coverage so are great for everyday wear! I did have an image, but it wouldn't upload for some reason :( but it actually blends out as clear, but its the reflecting pigments that help to improve the tone of your skin. Thanks for the blended out pics lovely! 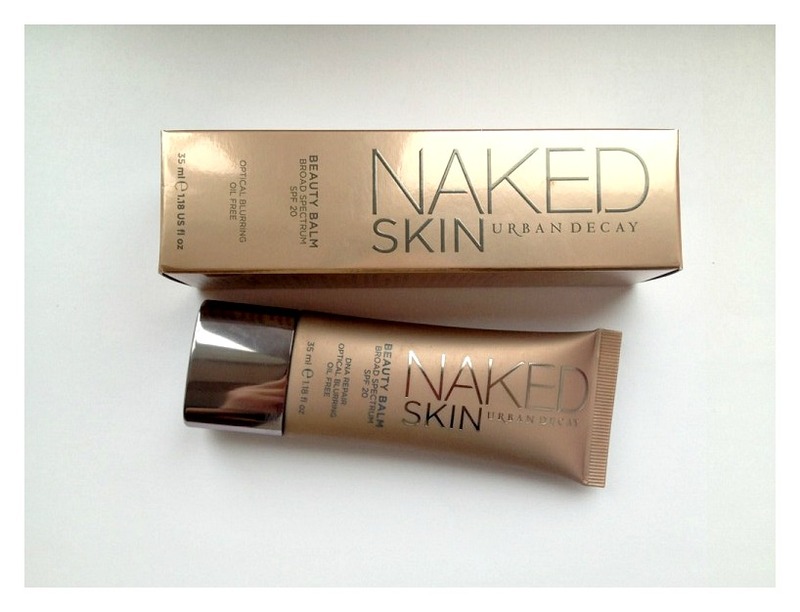 The formula looks great and it blends out so flawlessly :) I need to have a look around where I can get Urban Decay products in Australia! I'm in love with BB Creams, I'll have to give this a try! I'll add it to my wish list! Congratulations on the job hun! :) bet you're so excited!!! This product looks amazing! Might have to go and give it a try! Congrats on the job! Lovely review sugar! Something I think I am going to have to add to my wish list! Really good review! Yeah as mentioned above, was hoping for an image with the bb cream blended out! This sounds great, I adore Korean bb creams so I don't find the European versions as good but this sounds interesting! Honestly I've never even heard of this product (I must live under a rock) but your review speaks pretty highly of it that I'm pretty tempted to try it myself! I'm not sold on the BB cream trend yet, and unfortunately don't think it's a product I would reach for often even if I did have one in my collection. My skin has a lot of redness at the moment, and I favour medium to full coverage foundations because I'm so self-conscious about it. 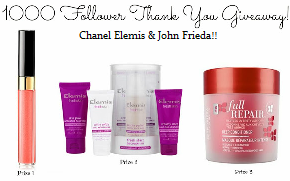 Thanks for a great review nonetheless!